Booth No. M701 Hall 7, MITEC Kuala Lumpur, Malaysia. 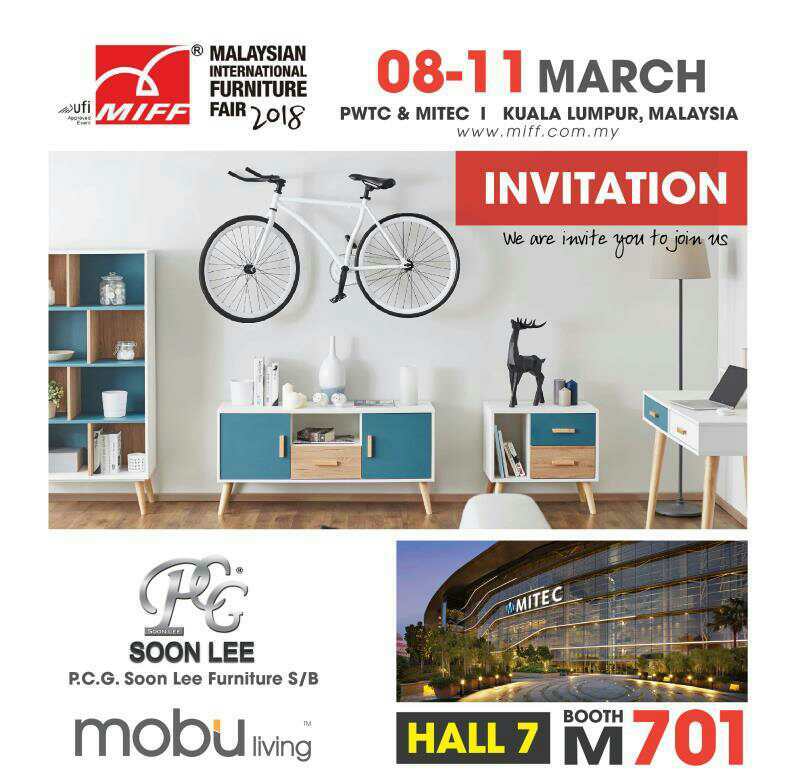 PCG SOON LEE FURNITURE SDN BHD invites you to visit us at Booth No. M701 Hall 7, MITEC Kuala Lumpur, Malaysia.